Podcast » Ethical or Profitable? Do you maximize your efficiency and remain profitable? Or do you fail to recognize opportunities to monetize, and instead walk the line between profit and ethics? Or do you make poor business decisions and let too much money slip through your fingers because you want to be nice? Welcome to “Ethical or Profitable?”, the game that all the cool kids are playing. 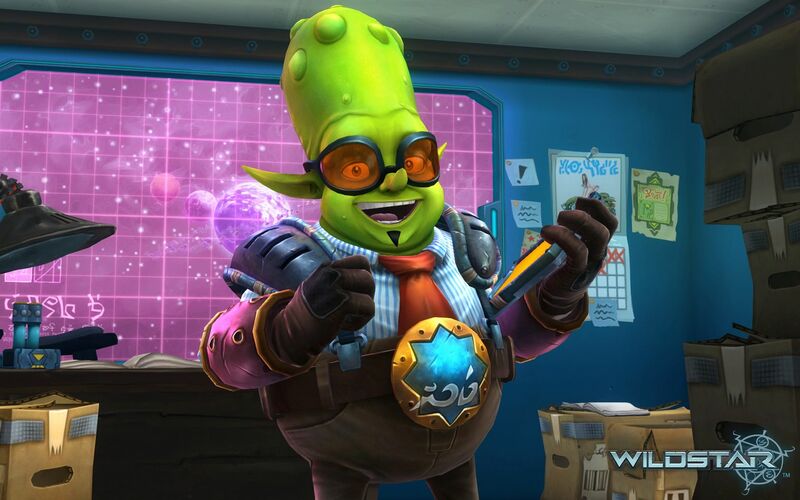 Every week, the hosts of Wildstar Radio will play this game and keep track of their scores. After a while, we’ll see how we would be faring in the business world. Follow along with us, and keep track of your score! The questions are below! (Ethical): Just give them the gold. They’re a friend, they’d do the same for you! (Neutral): Lend them the gold, and mention that you will want them to pay you back. (Profitable): Lend them the gold at a daily-compounding interest rate of 18%. (Ethical): Report it and your guild mate, doing anything carbine did not intend is grounds for a ban! (Neutral): Enquire about it but don’t do anything about it. (Profitable): Find out how to do and it use this ‘interesting’ way to make gold as much as possible before carbine fixes it. (Ethical): Buy it and send it back to them with a note explaining how they could better make money. (Neutral): Keep scrolling, and pray for their fiscally-irresponsible souls. (Ethical): Let them have it and keep moving to the next node. (Neutral): Race them to the node. (Profitable): Grab a mob, run to the guy, get him in combat with the mob, Void Slip to get out of combat, then get the node while he deals with the mob. (Ethical): Contact him and offer to purchase at the going price on the Auction House. (Neutral): Buy one from him at his price. (Profitable): Buy as many as he has, keep one, and then go pop the rest on the auction house. Tally up your scores and see how you would do in the business world of Nexus! +3 to +5: You are poor, but people like you. Scratch that, they like rich people. But hey, you at least feel good about yourself, you can sleep at night (under a rock, because you’re poor), and friends owe you a lot of money…that they’ll never pay back. But good job on the karma! -2 to 2: You walk the line. You won’t be rich, but you won’t starve. What sleep you’ll save by not always being a money-hoarding jerk, you’ll lose because you are only barely in the black, and any day it could tip over into the red. You’re the mom-and-pop store of Nexus. -3 to -5: You have made so much money, who needs friends? Your business acumen is admired by the masses, but they’re too scared to tell you any compliments to your face, so that is mostly supposition. Karma may come back to haunt you, but you can just charge it admission fees and for the minibar.